Three pounds of an exceptional gift idea! 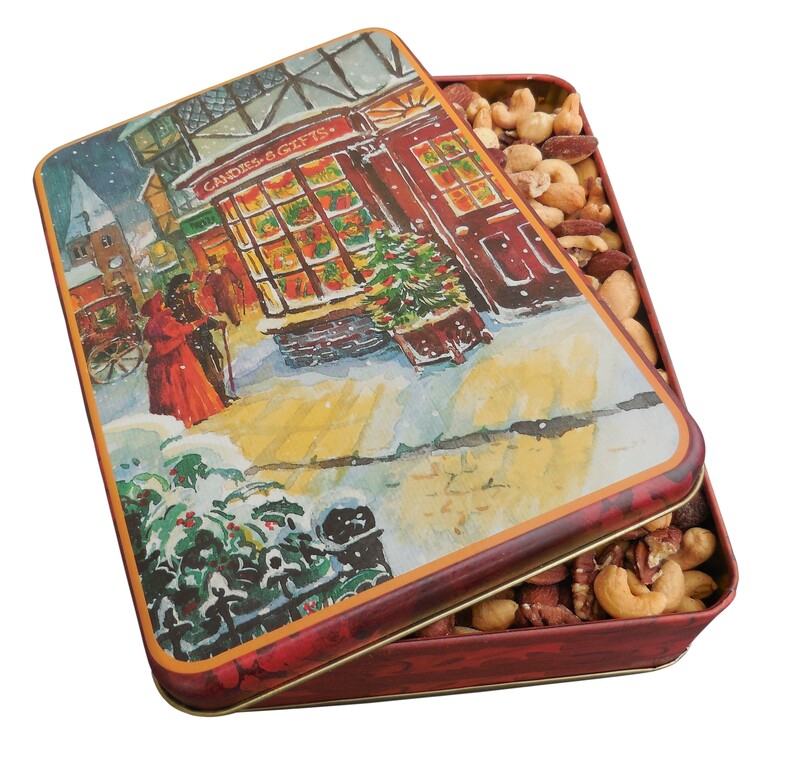 We carefully roast each of 5 very large nuts from the finest orchards using a very special basket roasting process. This special roasting process gives the nuts a very, very rich and old fashioned wonderful taste. 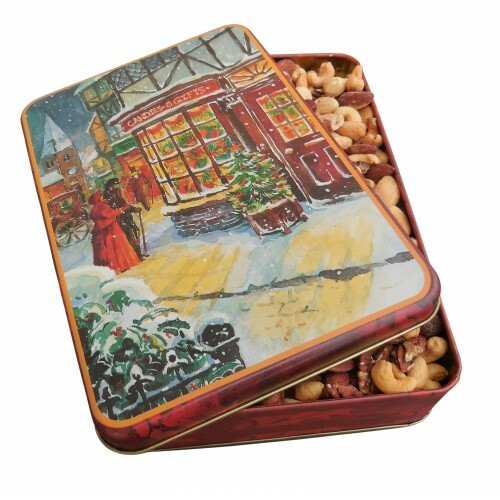 in a very nostalgic yesteryear English tin which depicts kids looking longingly into a candy store window.